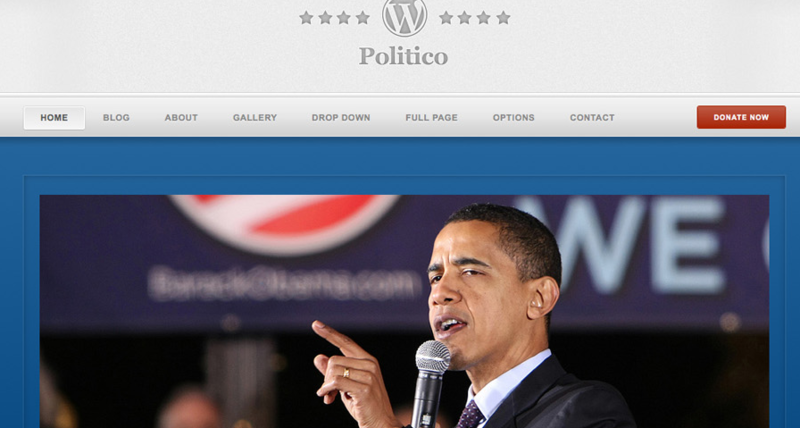 WordPress Politico: a highly customizable politics theme that could be useful for bloggers and political candidates. It has multiple layout and slider functions. WhiteHouse Pro: a super clean CMS theme for WordPress. It has a ton of settings and multiple color options. A matching bbPress addon is available for it too. 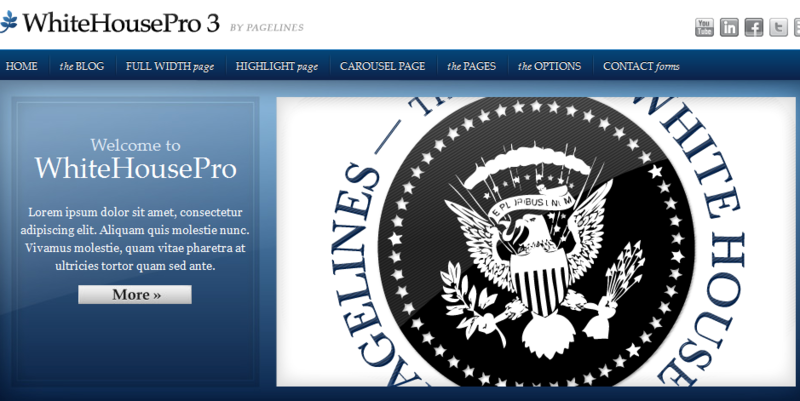 Political theme for WordPress: this is highly customizable template for your site. It offers 31 widget positions and 9 styles. It has 5 menu levels and ships with validated code. 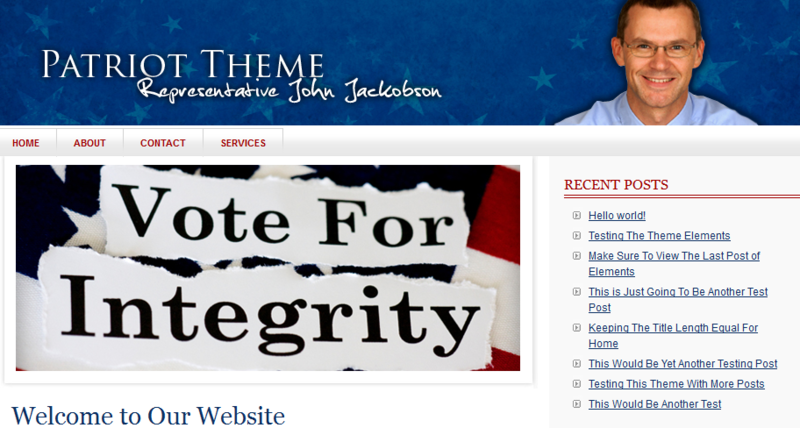 The Patriot Theme: useful for local candidates and those of you planning to cover your favorite politician. Not as fancy as some of the other themes in this list but gets the job done. 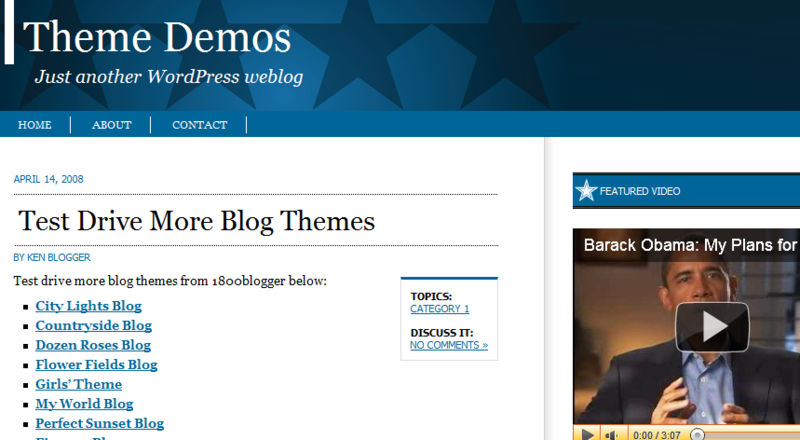 Political Blog: planning to run a blog covering developments in politics in your local area or state? This theme might be what you need. You have the option to buyout the theme which is nice (meaning that you will be the last buyer). 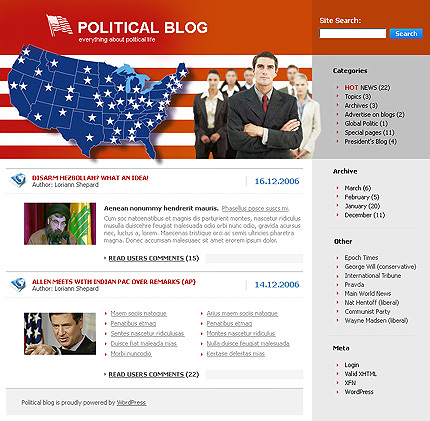 Political Theme: developed for those of you who are looking for a free theme for your project. Unlike other themes on this list, Political Theme does not have too many bells and whistles.